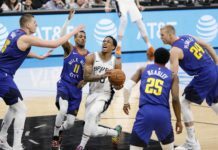 The Denver Nuggets are out to one of their best starts in the past eight years and they are doing so without their prized free-agent acquisition, and four-time All-Star power forward, Paul Millsap, who has been out of the Nuggets’ rotation since Nov. 20th of 2017. 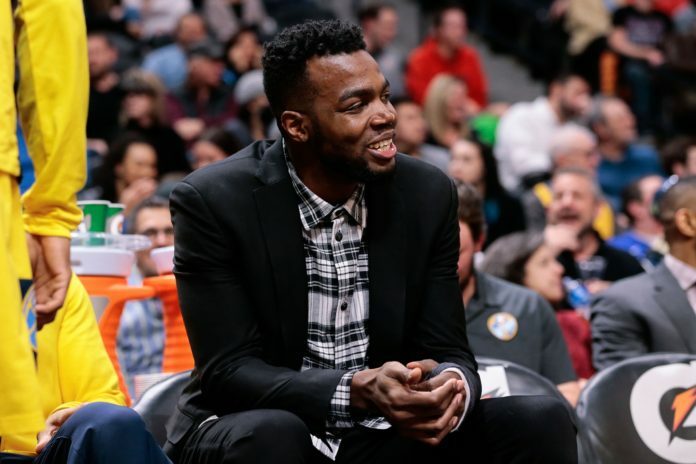 While Millsap — after getting surgery on his left wrist back on Nov. 26th — remains sidelined without a set date for when he will return, he has still taken a drastic step towards getting back into the Nuggets’ rotation by having his cast removed. “Everything is very positive. 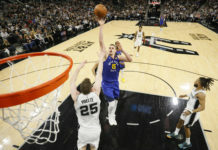 He got the cast off,” Malone explained on the morning of January 10th prior to taking on the Atlanta Hawks at the Pepsi Center. This is a far cry from the negativity that percolated through Millsap when he spoke to the media after getting surgery on his wrist. 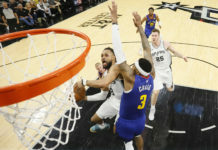 In his professional career, Millsap has never had an injury of this magnitude and has never missed more than 13 total games in any season, so the shock of missing such an extreme amount of time was new to him and something that was difficult to come to terms with. Now, the doom-and-gloom is starting to fade. Millsap has already been doing everything he can, even with the cast on, to stay in shape and to stay up to date with everything the Nuggets are implementing on both ends of the court. He has been at practices getting one-handed shooting work in as well as practicing post moves, working on his handles, staying in great physical condition, lifting weights when he is able, and so much more despite his left hand being contained in a cast and unusable. Now, with Millsap’s cast off, he is now able to start rehabbing even more intensely and increase the amount of basketball activities he is able to partake in. That will allow his incredible work ethic to shine even brighter and get him back on the floor even quicker. While Millsap’s improvement has been terrific, Malone is still trying to temper expectations about when Millsap’s return to the Nuggets will be. The last thing that Denver wants to do is rush back their newly-minted 30-million-dollar man and have him re-injure himself in any way. Yet, Malone remains optimistic that Millsap is steadily moving forward with his rehab effectively and efficiently. While everyone seems to be convinced that he will return sometime around the All-Star break, Millsap feels differently. Being that Millsap is one of the hardest working individuals in all of basketball, he has different plans on when his return date could be — even if he would not share that timetable with the media. It is seeming more and more likely that Denver could see the return of Millsap sooner rather than later. What a welcomed sight it will be when Millsap finally does step back onto an NBA court donning a Nuggets’ uniform for his first playing time since mid-November of last year.